Written by Gregory on Sept. 16, 2015 in Business, News. 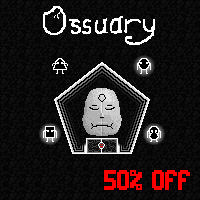 In honor of the Discordian holiday of Bureflux, our creepy, satirical, conversation-based adventure game Ossuary will be 50% off on Steam from September 21-27, 2015. In Discordianism, there are five seasons, each with 73 days. These seasons reflect the cyclical periods of history, which start with Chaos, fall into Discord, bloom into glorious Confusion, settle into Bureaucracy, and finally collapse into Aftermath, ready to begin the cycle anew. At the moment, we reside in the height of Bureaucracy, the season which is most reflected in the sad, static underworld depicted in Ossuary. The shifting point of the season will come on Bureaucracy 50, or September 26: the wonderful holiday of Bureflux. To celebrate this glorious time, when we begin tumbling toward Aftermath, we're putting Ossuary on sale. From Monday, September 21 through Sunday, September 27th, 2015, Ossuary will be available on Steam for only $5. In the Discordian calendar, that's Prickle-Prickle, Bureaucracy 45 through Setting Orange, Bureaucracy 51, YOLD 3181. It should now all make sense. Verily. 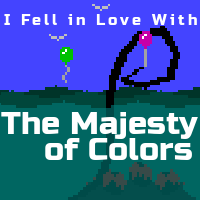 Put the game on your wishlist now so you don't miss the sale! Last update on Sept. 16, 2015 .